The bar side of Princi in West Loop. Tuesday is opening day at 1000 W. Randolph Street. Princi blends the traditional Starbucks experiences with a few wrinkles. Theyâll ha ve wine and beer at Bar Mixato, creating the type of atmosphere piloted by Starbucks when it launched its Starbucks Evenings program. Baristas will pour upscale and pricier Starbucks Reserve coffees. A happy hour-style offering will give customers free pieces of pizza from 5 p.m. to 7 p.m. daily with purchase of a cocktail like an aperol spritz. 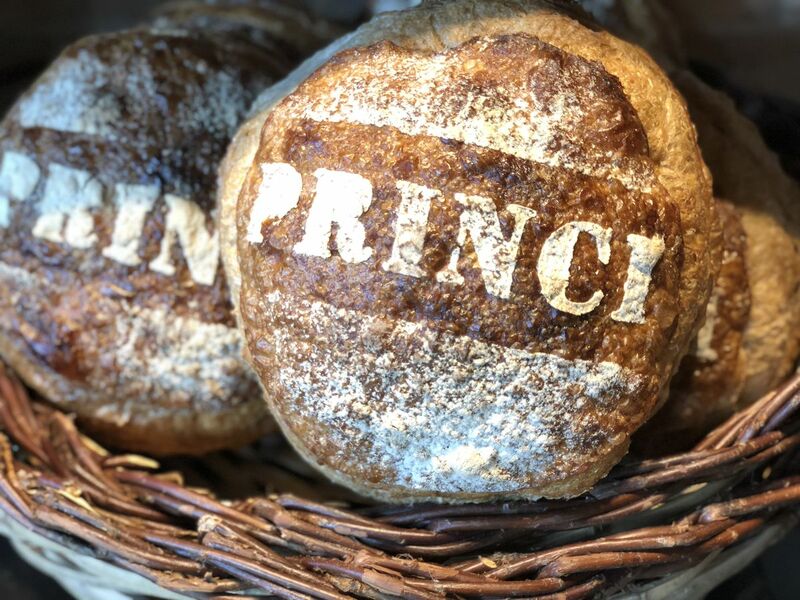 The breads will be baked at a commissary at Orleans and Chestnut â" just north of Chicago Avenue â" and delivered to Princi daily. Gee, that guy â" Rocco Princi â" on the wall looks familiar. The restaurant is a collaboration with Rocco Princi, a Milanese baker who owns bakeries in Europe. The American version of the restaurants will f eature pizza al taglio, the Roman-style pizza slices introduced to Chicago last year by another Italian import, Bonci. Bonciâs first U.S. location is also in the West Loop, minutes away from the Chicago location of Princi. Princi isnât personal friends with Bonci, but Starbucks has observed Bonciâs success in Chicago. This breakfast sandwich on brioche with prosciutto and parmesan reggiano will look different for eve ry-day customers. The menu will change seasonally. The strawberry powered crostata fragole will be swapped for a new dessert this fall. Perhaps Starbucks could explore something new and try a pumpkin-spiced item. 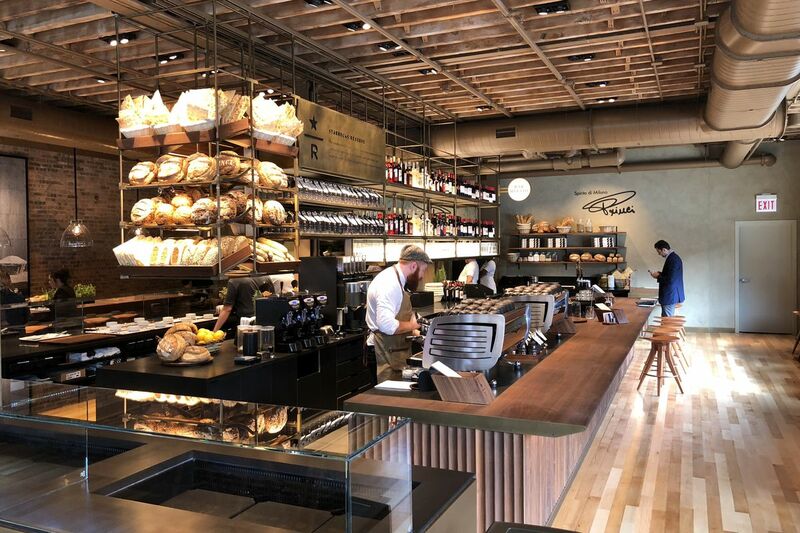 There are salads and specialty breads that could compete with area bakeries like One Off Hospitalityâs Publican Quality Bread and Izardâs Little Goat Bread. Starbucks plans to open a massive new roastery next year on Michigan Avenue inside the former Crate & Barrel space. Princi items will be available, but itâs unclear if it will be the full menu as offered in the West Loop. A Starbucks coffee shop across the street from Princi will remain open â" the company doesnât want to disrupt anyoneâs regular routine. Starbucks joins McDonaldâs, which this year opened its new headquarters across the street, as a global chain thatâs upping its profile along Randolph. Like McDonaldâs, Starbucks is opening a restaurant that goes beyond the offerings found at its typical stores. It leaves the question to what will be the next chain that wants to do the same in the area. While pondering that, know Princi makes its Chicago debut next week. In case customers forgot where they bought their bread.